Our high quality embossed flight suit name tags are designed with care and approved by the U.S. Navy. 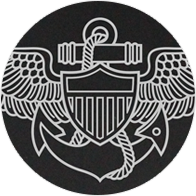 Each name patch is built to your specifications while making it easy to follow the correct regulations and guidelines set by the military. 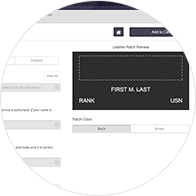 Our builder uses a simple interface to let you customize your leather name tags with your name, rank, status, and insignia. Creating the perfect name patch has never been simpler. We use top quality leather available in black and dark brown. 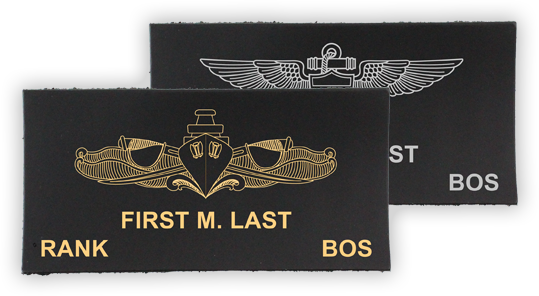 Affix these beautiful 2” by 4” name patches to your military or civilian pilot uniforms. Velcro backing makes it easy to add and remove your flight suit name tags to any jacket.